Present world has become dynamic and very competitive where the business organizations are facing high challenges in maintaining the customers and improving the sales volume in order to meet up the business objectives. For overcoming all these difficulties the organizations are choosing CRM solutions for managing all the business services, where the software helps in keeping the existing and new customers engaged with your products or services, plans and provides the customer services in effective ways, thereby increasing the sales and drive more revenue. 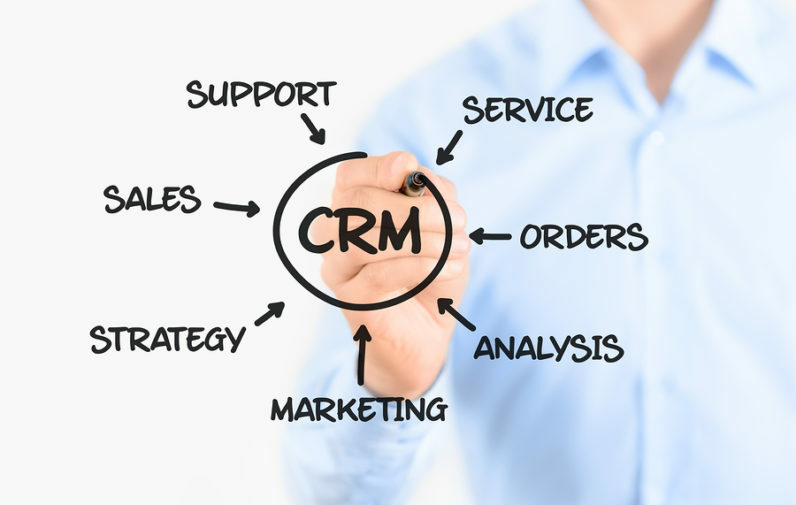 Today we have many vendors providing CRM solutions; here the companies should select the best CRM which can efficiently plan and implement all their business work-flows. Its really hard in selecting one right CRM from the available options in the market, here we have provided some key features that can guide you in selecting the best one. CRM dashboards should be very simple to operate and should generate all the needed information in just one click. The software shows all the real-time data related to leads, opportunities, sales, customers and other key metrics. With this demographic data you can know the customers buying records, potential customers list and best marketing strategies which have bought quality leads etc., which helps you in making better marketing campaigns and sales strategies in order to close more deals in short time. While choosing CRM software make sure it should be able to integrate the third party applications for enhancing your business process, thereby making your organization work-flows hassle-free. The software should be growing or upgraded according to your business organizations growth. This smart integration can increase your team’s efforts in closing deals more deals with loyal customers and takes your organization to next level in managing and building strong customer relationships. Today’s businesses are struggling hard to provide customer centric work-flows in order to get positive responses from the customers before and after the sales, this can make the customers come back and purchase your products or services repeatedly. CRM software can help the businesses in making the business processes customer centric for obtaining more potential customers and increasing the organizations profits. Customer centric operations is not just offering great services to the customers, but making customers as first priority and provide the services as per the their requirements. Here the CRM first collects all the information related to the customers and understands their interests, requirements from their past buying patterns and further approaches the customers with your best products and services in order to attract them towards your organization. This well planned and systematic implementation can drive more loyal customers and build good relationships for lifelong. The marketing and sales teams will be busy with their work-flows in order to generate more number of leads and convert them to sales. In this process they will not have much time to keep updating all the customers with the needed information, by which the organizations are missing some good customers. In order to overcome these issues the CRM software has come up with best solution, where the software will design a personalized email templates which can be sent to selected leads or contacts in just one click, this automated feature can save the time of sales and marketing teams and further helps in winning the customers trust. The CRM should be able to generate all the insight reports related to customer’s behaviors, buying patterns and interests, sales etc., with these analytics reports the business organizations can have clear idea about the customers and can come up with intelligent solutions for identifying the best opportunities in the sales cycle and provide efficient customer services in order to convert leads into loyal customers and increase the customer retention periods. For increasing your organizations sales volume and to generate good profits, switch to the right CRM solutions which has all the above key features and also the software should exactly suits your businesses. The right CRM will perfectly handle all your business requirements, further helps in grabbing the loyal customers towards your products and will effectively build strong relationships in order to increase the customer retention period.